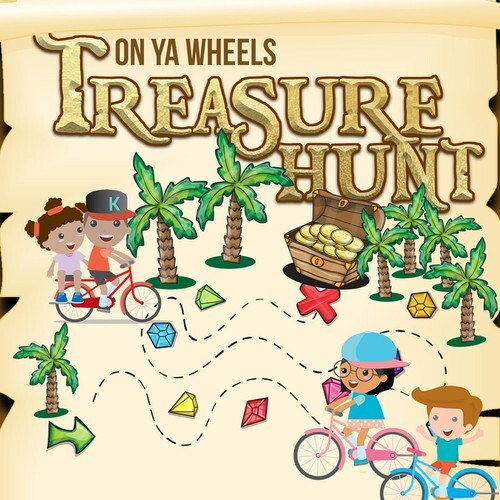 Out and About On Ya Wheels Treasure Hunt may be the upcoming event you’re looking for. Join the Out and About team for our fun family friendly On Ya Wheels Treasure Hunt at Barry Curtis Park! There will be two different race options to cater for all ages and abilities. You will receive a Treasure map that you will follow, completing challenges and questions along the way, before collecting your treasure at the end of the Race! Please be with the team to start your Treasure Hunt between 10am till 11:30am. Appropriate safety gear for your Biker, Rollerblade, Skateboarder or scooters. Scooter, bike, tricycle, skate board, roller blades any form of wheels!